Your Star Kingdom Needs YOU! HMS Demon, CLAC-62, is the Chicago area chapter for the Royal Manticoran Navy: The Official Honor Harrington Fan Association. HMS Demon is a group of 80+ people from all walks of life who share a deep enjoyment of David Weber’s Honor Harrington series. HMS Demon is active in the local and regional convention scene, and hosts parties and runs recruiting tables at WindyCon, CapriCon, and more. We look forward to meeting you, and sharing our fandom! Your Star Kingdom needs you! Join TRMN today, and receive the finest training available! Meet the officers and NCOs of HMS Demon who stand ready to provide you with all the support, encouragement, and motivation needed to become the best representative of Her Majesty Elizabeth III Winton you can be! 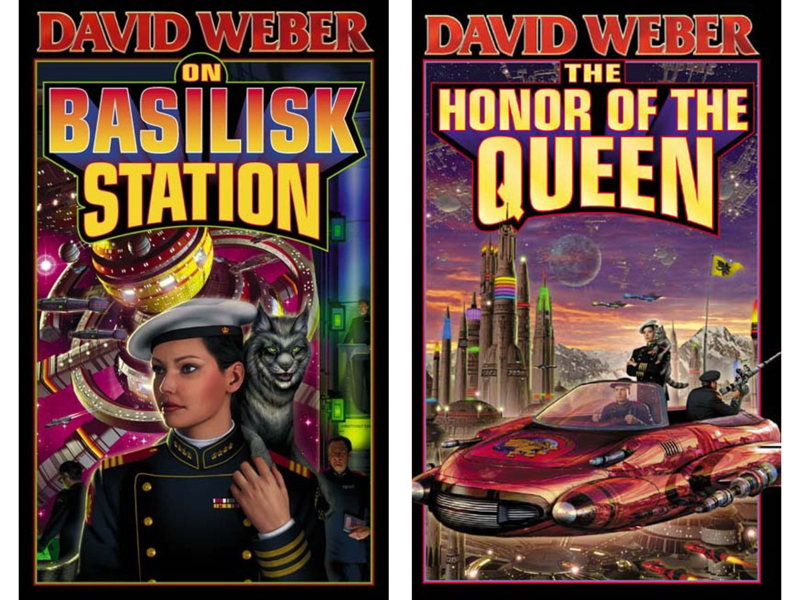 The publisher of David Weber’s Honor Harrington series, Baen Books, hosts the first two books, On Basilisk Station and The Honor of the Queen, free! You can download these titles in almost any e-reader format possible, and even read in your browser! It is more fun with you there! HMS Demon is a social group, and we want to have as many people involved as we possibly can. We encourage you to be as active as you choose, or are able – even if that is online only, that is active! We hold regular meetings at Strange Brew Cafe in Palos Hills, IL. We are also at local conventions – look us up! The Royal Manticoran Navy, and HMS Demon, is an open, welcoming organization which is proud to be inclusive of any and all individuals, with no exceptions. We have established a group of people who feel that only by inclusion can we be strong, and we recognize that, just as fans come from all aspects of life, so to will we. On behalf of The Royal Manticoran Navy and HMS Demon, I want to extend an invitation to come aboard, and see what we have to offer.